Harbo Mulch leads the mulch and custom grinding industry in the Brainerd Lakes Area. Grinding mulch since 2006, we service homeowners, contractors, city and county municipalities. Assure your mulch is high quality, vibrant and clean. Buy from a company who grinds the product themselves. We supply any amount of high quality mulch you need at wholesale and retail pricing. Offering a variety of mulch colors including natural hardwood, western red cedar, and many others. Selecting the mulch color you need is an exciting step in your landscaping process. Every customer is valued. 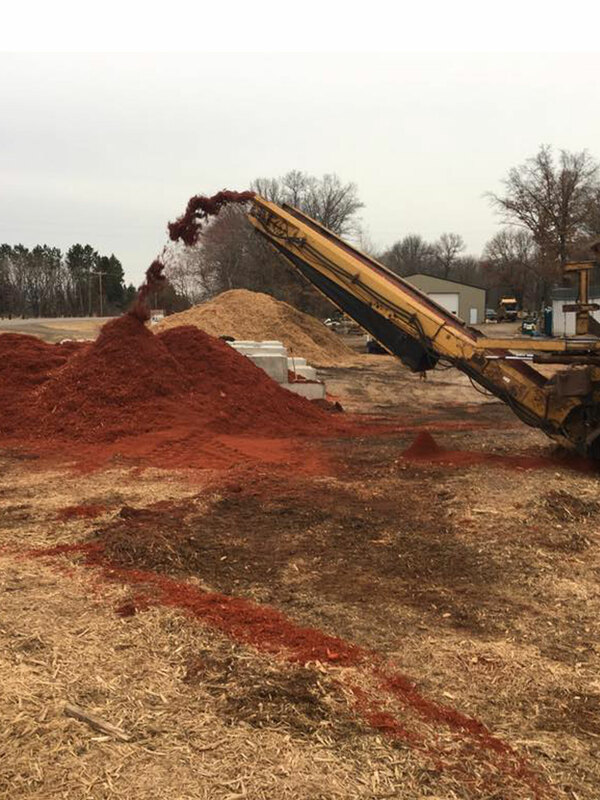 Give us a call or email us for pricing and we'll happily give you a quote for any amount of mulch. View our mulch and custom grinding options.